Prayers and love to the Perry’s and Lear’s. Charles Edward Perry Sr., 82, went home to be with the Lord on April 3, 2019. He was born on June 30, 1936 to Garland and Cathleen Perry in Cobb, Kentucky. Charlie was a God fearing man. He loved the Lord with all his heart. He met his loving wife, Raenell, at the youth group of Grace Baptist Church, where in 1957 he and Raenell got married. Charlie was an amazing husband, father, and pawp and raised his family in the church. 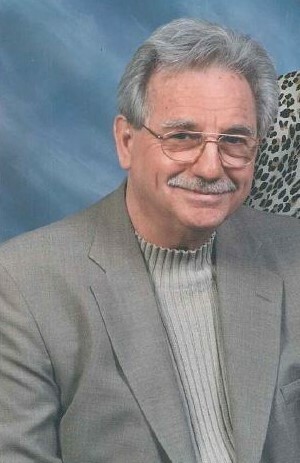 He was a member of Grace Baptist Church and later attended Crossroads. He was in the trophy industry for several years and the last business he owned was Award World Trophies. He loved to fish with his family at Barkley Lake and Scales Lake. His legacy is that he lived his life for the Lord and brought his family to the Lord. Charlie is survived by his wife Raenell (Brown) Perry; his children Melody (Jeff) Lear, Charles “Chuck” (Connie) Perry Jr., and Julie Perry; his grandchildren Jarad Lear, Lukas (Brittany) Lear, Bradley (Stephanie) Perry, and Justin (Kala) Perry; his great-grandchildren Emma Lear, Karlie Lear, Evan Lear, Hadley Lear, Nolan Lear, Sadie Lear, Maylee Perry, Tucker Perry, and Tanner Perry; his siblings Bill (Jayne) Perry and Bob (Barbara) Perry, and Vivian Bromm; and several nieces and nephews. Charlie was preceded in death by his parents and his brother-in-law Charlie Bromm.